"Ron Foos is an outstanding bassist and his engineering talents truly capture it. From the clear fat, tight “Low Bs” on his five string bass along with every note up and down the register he is an accomplished musician. He has an extremely musical style. He's able to fuse beautiful counter melody ideas with a defining harmonic structure (chord changes) and simultaneously groove rhythmically with the drummer and chord comps. His playing really drives and holds together every song. Even in the simple parts like the kick and bass feel in the ballad: “I Am…, I Said". He has a great mix of both aggressiveness and taste!. He's like a James Jamerson with a nice healthy dose of “Whiteboy” rock in him. Seriously, I could sit in the studio listening to the masters of Ron’s recordings with only the bass and drum parts in the mix and just hang out diggin it!" About Ron Foos: "Over the years I've had the pleasure of working with many fine bass players in various settings and situations. I think it would be an understatement to say that Ron is one of the best......He is the best! Not only are his notes great but he brings a sense of humor to his music and everyone's life. A more solid bass player, man, and friend (and oh yes! he sings great too!) you couldn't ask for. I feel privileged to call him my friend." In the Spring of 1967 upon the Epic release of “Its Tomorrow,” The Brave New World played with the Greatful Dead, the Seeds, the Crome Syrcus, the Daily Flash, Paul Revere and the Raiders, the City Zu, the Music Machine, and others. Indeed, we played in the first major psychedelic rock concert in Seattle at the Eagles Auditorium in Seattle that Spring (The Trips Festival named after its promoter Trips Lansing). We lasted as a more-or-less continuous band in various forms until 1973. Gus Molvik and I became the songwriters and lead vocalists. I have excellent live tapes from 1972 that have not been released. Mike Beck was the other original member at this time. During this period we received considerable interest from the Seattle representative of Columbia Records who had helped cut a deal with Columbia for Luthur Rabb and his Seattle-based group Ballin'jack. He wanted me to form a recording band out of Los Angeles in the rhythm-and-blues mode of Boz Scaggs. I chose to return to college to pursue my MA in cultural anthropology at the University of Washington and eventually my Ph.D. in the same field from UCLA. Mr. Clean and the Cleansers had three members of the later Brave New World in it at various times from 1964 to 1965 (Me, Gus and John). Mr. Clean (an Afro-American vocalist, sax-player, and band leader whose name was Lee Davis) used non-black sidemen so he could perform for both predominately black inner-city Seattle clubs, and general high school/college audiences. I was on the 45 on which we recorded "Think" and "Poison Ivy" in 1965 (Audio Recording - 118, Seattle Washington, Kearney Barton's label). Mr. Clean and the Cleansers also had, at various times, the drummer Ed Leckenby of Seattle-based Merrilee and the Turnabouts, and the Makah Indian Drummer Pete DePoe of the original Redbone. Mr. Clean played sax in Walt Wagner's early 1960's Seattle band the "Exotics." Indeed, we once used Walt’s home for practice sessions of Mr. Clean and the Cleansers. The Brave New World was a fusion of the Mr. Clean and the Cleansers experience with the Seattle/San Francisco psychedelic sound. Out of Mr. Clean came the inner-city Seattle black rhythm-and-blues influence. Mr. Clean blended traditional blues, rhythm-and-blues, and Motown with the Rolling Stones and similar material by miscellaneous American groups after the British invasion. 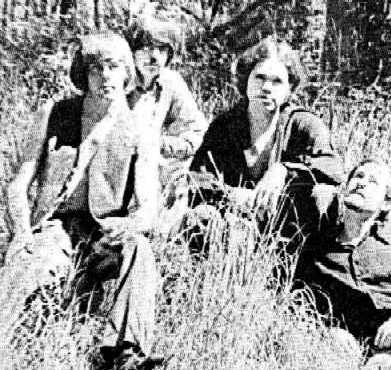 Paul Trousdale, on the other hand, knew members of the Daily Flash and the Crome Syrcus, two primary sources of the Seattle/San Francisco psychedelic sound. He wrote songs, mixing this genre with blues, that Gus, John and I supported with a heavy rhythm-and-blues background from our Mr. Clean experience. Mike blended both traditions. He had played with John and I for a couple of years (1963-64) in the first Seattle group I started and led called the Newports. 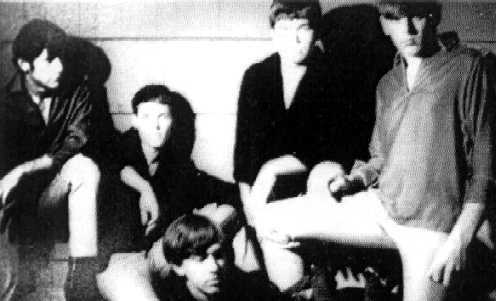 Tom Blessing of Tom Thumb and the Casuals was my sax player and sometimes lead singer in this group. The Newports played much material from the early Northwest sound of the Sonics, Wailers, Viceroys, Kingsmen, and Ventures. When I formed what was later to be named the Brave New World in 1966, Mike suggested we audition Paul as our lead singer. They attended the same high school. By the way, Gus Molvik's son is the lead singer/lead guitarist Taime Downe (Gus Molvik Jr. or "Little Gus") of the Los Angeles “hair band” Faster Pussycat. When he was a small boy, he hung around the practices as the original Brave New World prepared for the post "Its Tomorrow" concerts. Faster Pussycat released at least three albums/CD's. I grew up watching the Sonics, the Wailers, the Viceroys (then Surprise Package), Dave Lewis, Ron Holden, the Kingsmen, and the Dynamics. The Jazz guitarist Larry Coryell was in the Dynamics along with my Shoreline High School agemate Jeff Afdem on Sax. They also featured Mark Doubleday (trumpet) later of the Electric Flag. See "Music from 'The Trip'" (Sidewalk ST 5908, 1967). The Electric Flag included Mike Bloomfield and Buddy Miles. Speaking of the Kingsmen, Gus Molvik played for a short time with Richard Berry (writer of Louie Louie) in Los Angeles in the mid-1970's. I had a great time watching Richard Berry, Gus, and other band members do a version of this song in a small club in the hills surrounding Los Angeles. W. D. Frank found that the Brave New World's cover of Signed, D. C. was used in the Mad Men Series 4, Episode 4.